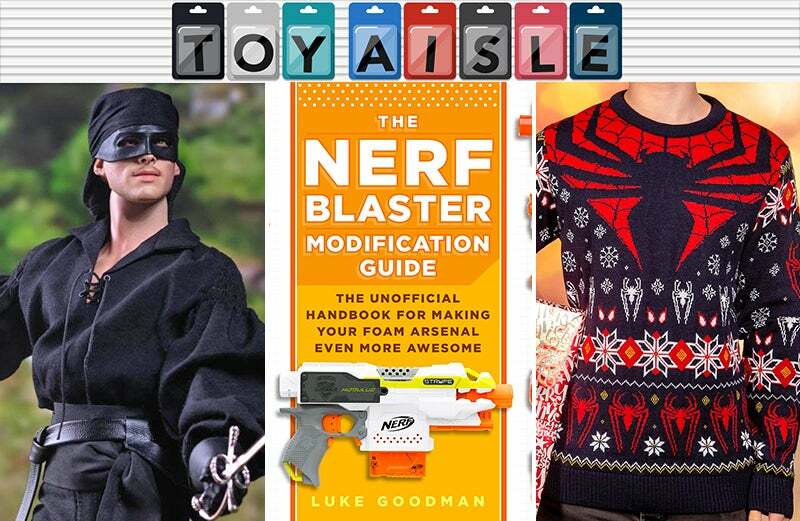 Welcome back to Toy Aisle, Gizmodo's weekly round up of the toys and merchandise that have caught our eyes lately. This week: repping your favourite Marvel heroes as the nights grow colder, how to make your Nerf armoury even more ridiculous, and... poo? Check it out! 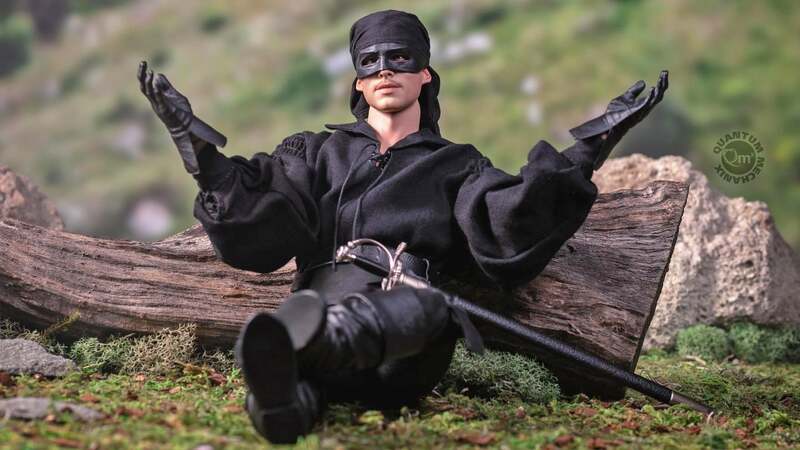 There is not nearly enough Princess Bride merchandise in the world, so we're very glad that QMX is attempting to change that with this 1:6 take on none other than the Dread Pirate Roberts himself. Westley comes with an alternate headsculpt depicting an unmasked likeness of Cary Elwes, as well as a host of alternate hands for posing, but he also comes with two of the most important accessories you'll need: his trusty rapier, and a wine goblet. If you thought the trend of poo-themed toys that dominated Toy Fair earlier this year had run its course, you were mistaken. Hasbro's taking a page from every eight-year-old who's ever rolled brown Play-Doh into a fake dog mess and created a whole set based on faecal fun. Think of the Poo Troop as an alternative to Mr. Potato Head that caters to pre-pubescent humour. The $US15 ($21) set, available in spring, includes 12 tubs of appropriately-coloured Play-Doh, poo-shaped moulds, assorted tools, and decorative accessories like hats, arms, and faces so kids can craft their own poomojis. Yep, 2018 isn't over yet. If you love solving puzzles, and have 600 hours you can dedicate to your passion, Ravensburger claims its new Mickey Through the Years is the largest Mickey-themed puzzle ever created. 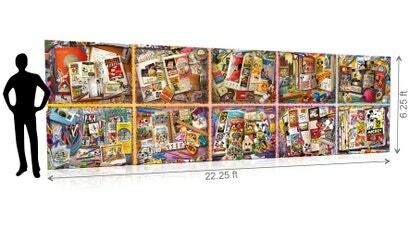 With 40,320-pieces, we're inclined to believe its claims. It's available this week, but you'll need to find a work space in your home that's over 6.71m long and 1.83m wide to complete this sprawling tapestry, which rules out even some of the fanciest and grandest dining room tables. Maybe there's a bowling alley in your basement you can dedicate to the cause, because if you can afford a $US600 ($822) puzzle, you probably live in an opulent mansion. Yes, we know. 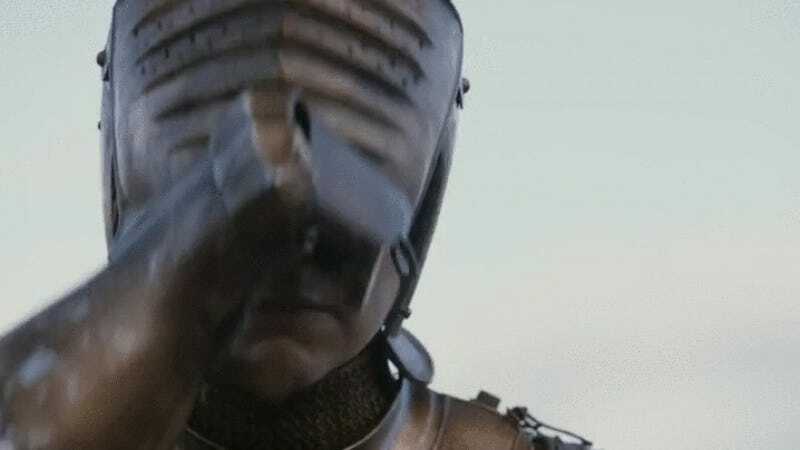 It's September. We haven't even had Halloween yet! But the creep of Christmassy merchandise draws nearer every year, and at least 2018's version of it is starting with these suitably nightmarish, intentionally garish Marvel-themed jumpers. Whether you want to rep Captain America, Black Panther, Thor, the Avengers, or even two versions of Spider-Man at your next ugly jumper party (are those still things? ), you're spoiled for choice. Is surgery for the undead really necessary? This alternate version of the timeless Operation game is either a fun way to celebrate the 25th anniversary of Tim Burton's The Nightmare Before Christmas, or a commentary on the US health care system and hospitals performing unnecessary surgery just to pad their bottom lines. 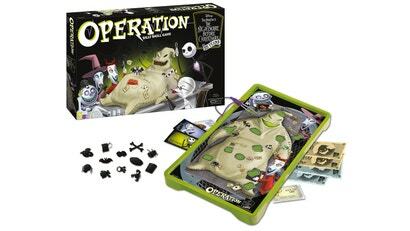 Whatever the origin, the $US30 ($41) game features the film's Oogie Boogie character on the operating table, with players trying to remove 12 different ailments including a snake, spider, dice, worms, needle and thread, roulette wheel, card deck, keys, bones, scorpion, bat, and a bug. 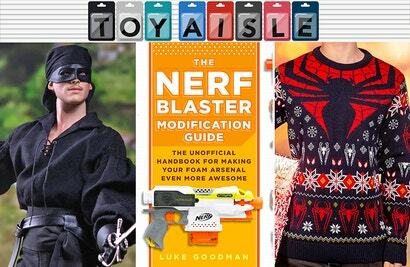 Nerf blasters appeal to all age groups, but while it's still fun to ping your unsuspecting co-workers with darts, adults will probably notice their Nerf toys feel a little underpowered. There's a large community of Nerf modders on the internet, but Luke Goodman, the creator of the Out of Darts YouTube channel, makes upgrading Nerf toys easy for even amateurs with his new book, The Nerf Blaster Modification Guide. 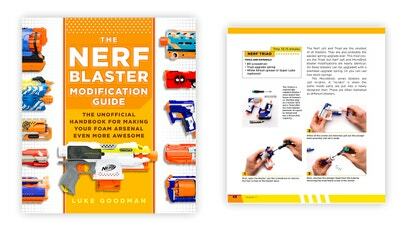 Available next month for $US20 ($27), the book features step-by-step upgrade guides for many popular Nerf blasters that improve their speed, range, capacity, and firing power. 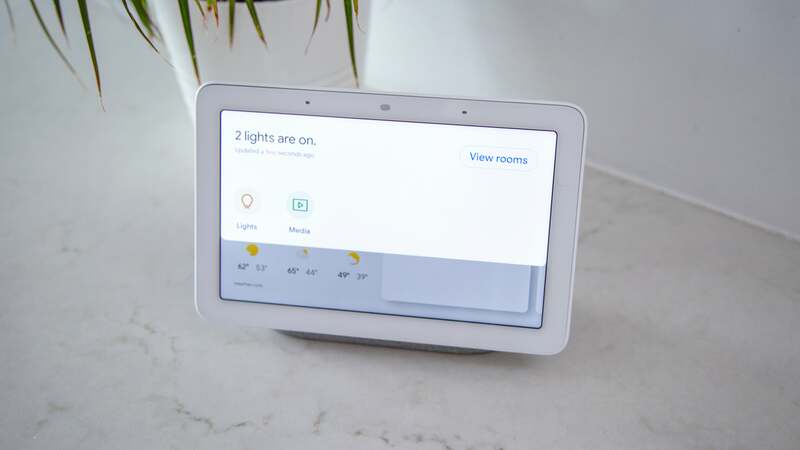 Some of the mods are more complicated than others, requiring soldering and wiring, but others are easy enough for even kids to work through.